ISTQB and ISO 29119 – Friends or Foes? The International Software Testing Qualifications Board (ISTQB®) was founded in 2002 with the goal to advance the software testing professeion. Since then the “ISTQB® Certified Tester” scheme has become the world-wide leader in the certification of competences in software testing. It is a huge success story with currently more than 570.000 certificates world wide and considered an „industry standard“. Starting 2008 ISO/IEC starting work on the new software testing standard ISO/IEC/IEEE 29119. The first three core parts on test terminology, the test process, test documentation have been released in 2013 while the forth core part on test techniques was published in 2015. Since then the usage of the new test standard is increasing and it is now referenced e.g. in Automotive SPICE V.3.1. Looking at ISTQB and ISO 29119 from the perspective of an user in a project a number of questions arise. Which one is the leading standard? Do I have to fulfill both? Do they contradict each other? Which one is more important? How is the relation to other standards with test requirements, e.g. ISO 26262? In the presentation we will answer these questions and discuss the similarities as well as the differences between ISTQB and ISO 29119. Join the presentation and come up with your own opinion on this topic! Dr. Klaudia Dussa-Zieger is head of consulting at imbus. She has been involved in software testing and software quality for more than 20 years. In her specialist field, the continuous improvement of the test process as well as ensuring professional training and further qualification are of particular importance for her. For more than fifteen years she has been trainer for the ISTQB® Certified Tester Foundation and Advanced Level which allows her to pass on her long-standing experience. She herself holds the ISTQB® Certified Tester Full Advanced Level certification. Process and test improvements result from the assessments which she carries out as iNTACSTM Prinicpal Assessor (ISO/IEC 15504) for Automotive SPICE. 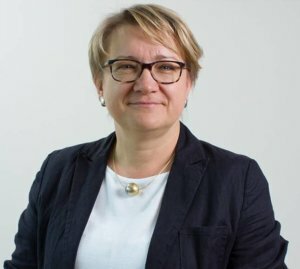 Since March 2009 Klaudia Dussa-Zieger is Chairperson of the DIN working committee „System and Software Engineering“ and is involved actively at an international level in the development of Standards. e.g the new testing standard ISO/IEC/IEEE 29119. In addition, she lectures in software testing at the Erlangen-Nuremberg University in order to give students the know-how and skills required for their careers. She is a member of the German Testing Board for several years now and its president since spring 2018.